Vampyrism is not a religion, although it may feature in various religions. Not all Vampyres identify as Pagans, just as not all Pagans identify as Witches. There are many reasons why diverse individuals may consume blood or energy from diverse sources (*while strictly observing ethical standards and behavior), but to self-identifying Vampyres, religion is not one of them. A self-identifying Vampyre may identify with any religion of their choice, just as anyone else does. **Some Vampyres identify as Pagans, while in fact, ***almost as many identify as Christians. Religion is a personal choice, while Vampyres do not see being vampyric individuals as being a matter of choice. 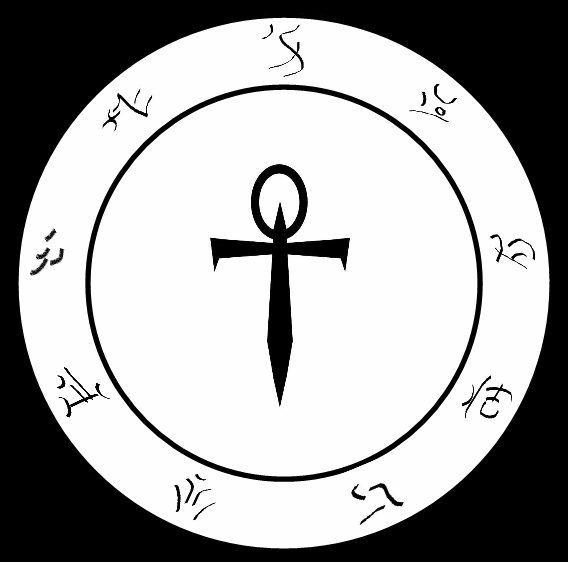 The South African Vampyre Community (SAVC) is an amalgam of diverse individuals united by common experience, identity, and is a unique stand-alone subculture not beholden to or affiliated with any entities external to the VC as a whole. Individual participants in the SAVC are not prevented from interacting with other VC’s around the world, and they are free to engage with other subcultures, communities and societies as they see fit. Therefore, you may find Vampyres in Christian churches, Pagan covens, at the lunch counter, at bingo, and probably just about anywhere. To clarify once and for all: vampyrism is not a religion, individual Vampyres may belong to/identify with, participate in ANY religion of their own choice. As such, they should be free to participate on an equal footing with any other members of those groups, as would anyone else. There never was, nor will there ever be ANY SAVA-led initiative, effort, plan or agenda to integrate the Vampyre subculture into any other single religious identity, be it Paganism, Satanism, Christianity or any other. The South African Vampyre Alliance (SAVA) is a SECULAR (NON-religious) body active within the SA Vampyre Community, whose role it is to propagate educational material and information about Vampyres, the Vampyre subculture and to represent the interests of the South Afican Vampyre Community especially where human and civil rights may be affected by external entities. As an organization, the SAVA represents ONLY members and supporters within the geographic region of South Africa and does NOT form part of ANY religious umbrella body – whether in or outside of South Africa. Co-operation between SAVA and other organizations who may share similar goals in the interests of the common good, should not be taken to mean that the SAVA “belongs to”, “is part of” or “a subsidiary of” any other organization, in or outside of the SAVC. The Alternative Religions Forum (A.R.F.) was an initiative established in 2013 with joint input from the SAVA, the South African Pagan Rights Alliance and representatives from various minority religions in South Africa with the common goal of supporting an initiative to create an information resource which would be distributed freely to educate especially the South African public, media and law enforcement about occult religions such as Paganism, Satanism and Luciferianism and the Vampyre subculture. The resulting document (“Satanism: The Acid Test” ARF Project document PDF fileV01.03) is a unique world-first, academically acclaimed resource which presents the facts about each group from their own perspective rather than that of external observers who may be biased or prejudiced by their own religious views, and which has been instrumental in defusing prejudice in SA media reporting of so-called “occult related crimes” since its release in July 2013. Since its founding in 2011, the SAVA has promoted high ethical standards of conduct within the SAVC, and also in the broader global VC. The SAVA does not and has never tolerated criminality or abusive behavior within the VC, and is signatory to several international VC resolutions and conventions on the ethical treatment of others, including otherkin, donors, humans and animals which form part of the SAVA’s internal policies ****. Due to the mixed nature of the attention which the Vampyre subculture unfortunately draws – being occasionally overtly hostile, undoubtedly dangerous and unpredictable, the SAVC has long followed traditions, conventions and cultural norms intended to keep the identities of its participants safe from those who would seek to harm them. These include the long-established practice of participants adopting a nightside name on social media in order to protect law-abiding citizens from the attentions of social media trolls, religious zealots, and those with hostile and possibly violent intent. The SAVA is not obliged to provide membership information to anyone. Nor is the SAVA under ANY obligation whatsoever to respond to requests for interviews or information from the media or interested third parties. Anyone interested to know more about the SAVA, the SAVC or local Vampyre Culture should consult the SA Vampyre Culture Center. This entry was posted on Monday, August 14th, 2017 at 12:09 pm	and tagged with SAVA statement and posted in SAVA, Uncategorized. You can follow any responses to this entry through the RSS 2.0 feed.